Polyisocyanurate is similar to polyurethane but usually contains long strand glass fibres within it’s PIR foam core which is formulated to give off less dense smoke in a fire. 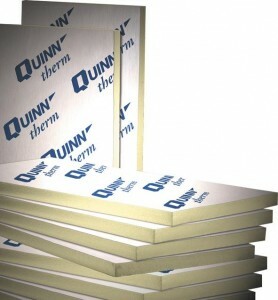 PIR insulating boards are mainly used in flat and pitched roof insulation, and are suitable for temperatures up to 75°C. The boards are usually faced with aluminium foil or glass tissue.